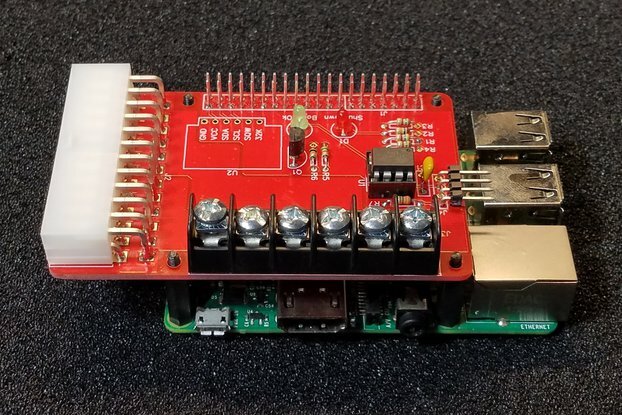 Power your Raspberry Pi and add-on project boards using inexpensive desktop power supplies while being able to enforce controlled shutdowns of the Pi's operating system to aid in preventing the corruption of valuable disk files. Additionally, the Mini ATX PSU monitors the Raspberry Pi so that, in the case that the Pi is shutdown by an application or from the command line, the desktop power supply will also turn off. Uses inexpensive off the shelf ATX desktop supply. Works with both 20 pin and 24 pin connectors. Enables operating system to perform controlled shutdown and reboots to minimize disk file corruption. Monitors Pi's run state so that when the Pi is shutdown by an application or command line, the power supply is also turned off. The Mini ATX PSU has the optional ability to remember its last "power state”. So, in case of power failure the Mini ATX PSU will automatically turn on the Raspberry Pi when power is restored if it was on previous to the power interruption. Back powers the Raspberry Pi with dedicated 5 VDC line. Screw terminals break out +12 VDC and +5 VDC each rated for 3 amps for user projects. 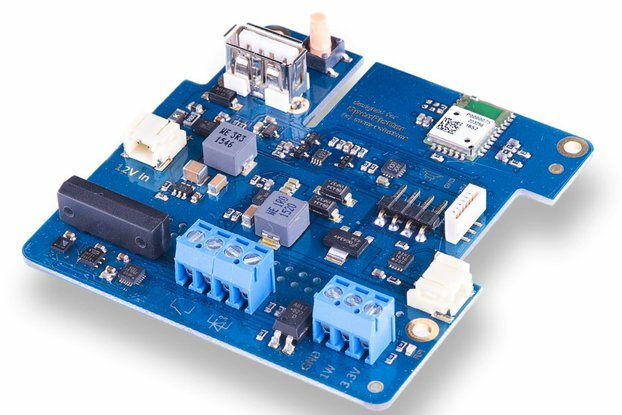 Provides a prototyping area with access to +12 VDC, -12 VDC, +5 VDC, +3.3 VDC, and Ground. 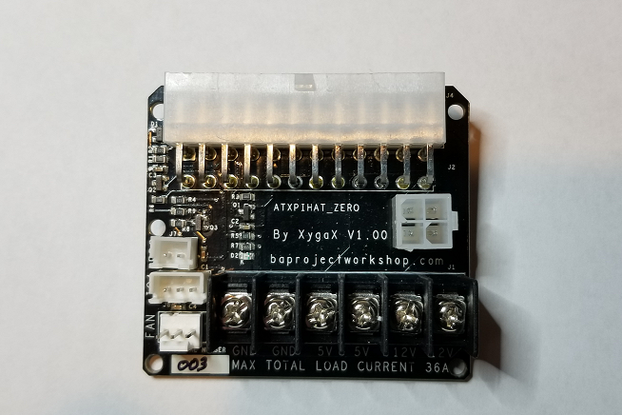 Each voltage rail rated for 3 amps (Rev 2.0 boards only). Conforms to the Raspberry Pi Foundation's HAT footprint. 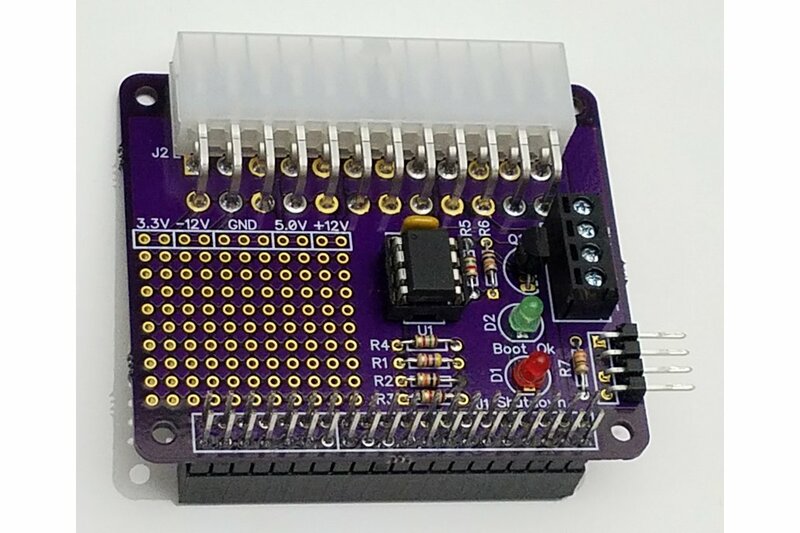 Optional 40 Pin GPIO stacking header allows use of other HAT conforming boards. 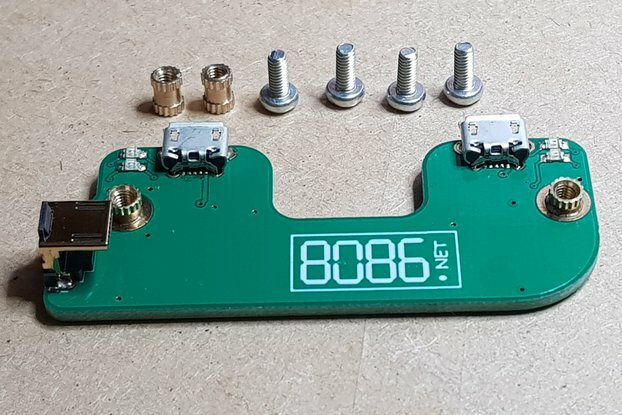 Comes as a DIY kit to keep costs low. Program Mode: By default the Mini ATX PSU is programmed to not remember its power on state in case of power failure. This is to maintain backwards compatibility with older model units. If you wish to have the Mini ATX PSU remember its power state when power is interrupted, then please refer to the programming instructions in the next section. Power Off: On-board micro controller, powered by the desktop 5Vsb line, waits for momentary power on button to be pressed. Power Up: LED pulsates slowly. Power is supplied to the Raspberry Pi and it boots up. Reboot: LED pulsates slowly. Raspberry Pi shuts down then reboots. Hard Shutdown: LED dims entire time push button is depressed. Turns off power after 10 seconds. My projects often need multiple voltages in addition to the 3.3 VDC or 5 VDC supplies usually provided by the Raspberry Pi. Existing ATX type desktop power supplies provide the kind of power that I can use. 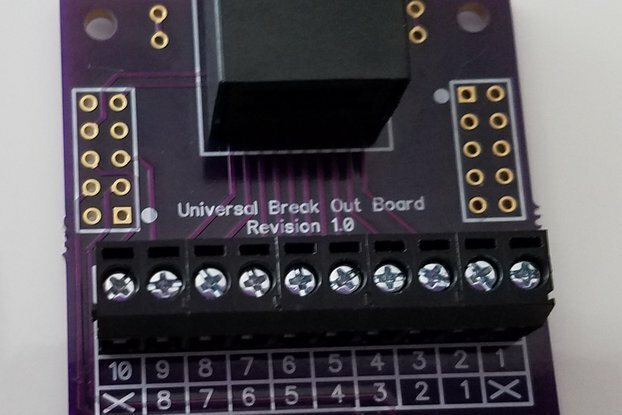 Additionally, I needed my board to be a HAT conforming board so that I can build controller stacks using the other boards I designed as well as third party boards. I am very particular in using stacked configurations because a stacked configuration is physically and electrically more robust. Finally, I wanted to mitigate the chance of file corruption by just turning off my Raspberry Pi without doing a controlled shutdown. This board allows me to do this. Current shipping rates are based on shipping within the United States. I will contact purchaser if I find that shipping to a foreign address is significantly more than U.S. domestic rates. This product was exactly what I needed, It powers my Pi as well as several other devices I'm using that need their own power. I can put everything into a PC case and use the case fans to cool keep my solid state relays cool. Along with a great product, Tom has been a great help. This was the first time I've done any major soldering and I didn't do a great job. Tom asked for pics and gave me some advice that got me up and working. He's been a tremendous help as someone new to electronics. - board detects when you reboot Pi from command line and does't kill the power then. Raspberry acts now like regular server/desktop machine. If you are looking for any of those feature do not hesitate and buy PIryte Mini ATX PSU. You won't find better product somewhere else. P.S. I'would like to thank Tom very much for his great job, perfect communication and openness for implementation of new features. I also want to thank him for sending new reprogrammed chips for free after I shared my thoughts on adding command line power/reboot handling feature. Documention is complete and once assembled the product is straightforward to use. It make it easy to use a Pi as a media player in mini ATX enclosure, a pico-ATX PSU and HDD on a SATA to USB controller.